Two, maybe three people may notice that something's new here. Blog's two years old, and this is the 200th post. That's an average of two posts a week, which is... adequate? 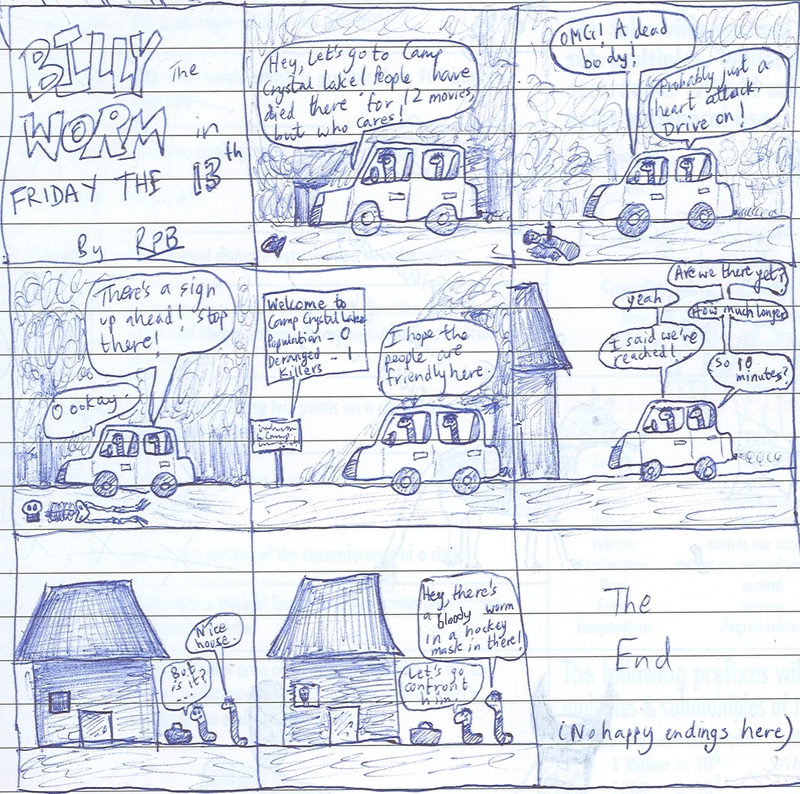 This isn't "The Adventures of Billy the Worm" anymore because I have concluded that series. The well is dry, so to speak. Here's the last one (surprise ending!) (not really). 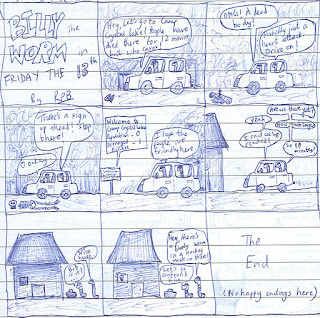 Fun fact: I drew this over 15 months ago. You must have watched a Friday the 13th movie at some point, if you haven't, it's your run-of-the-mill slasher flick.